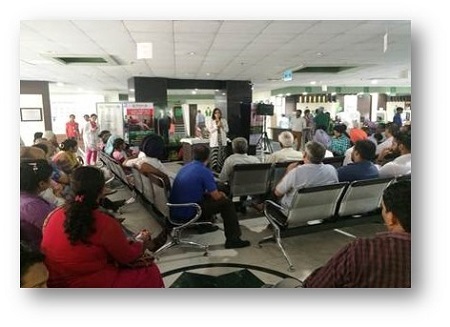 A very informative and interactive session was organized in IPD lobby, in which Dt. Sonia Gandhi, Head, Department of Dietetics and Clinical Nutrition and Dt Swati Bakshi, spoke to more than 95 people on ‘Importance of Nutrition’. Nursing School students also presented a short play to showcase the effects of junk food on the body.